PNW owned. 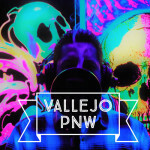 Vallejo is the rapper, Sean is the producer. We've been making music most our life. Now we got the tools to share it with all.